This wonderful documentary about the sea is from the family of the famous French diver, filmmaker and explorer Jacques Cousteau. The voiceover at the film’s start acknowledges Jacques’ contribution to the human race – the invention of camera equipment that allows underwater footage to be seen clearly. 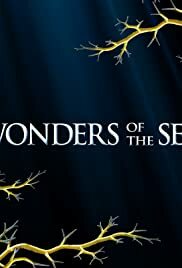 WONDERS OF THE SEA, screened in 3-D is proof. Arnold Schwarzenegger who has a special appearance at the start of the film touting the wonders of the doc. The other narrators are the members of the Cousteau family. It is difficult to say which section is the best or most interesting. The film begins with he smaller creatures in the coral reefs moving up to larger and larger creatures of the sea. The first journey takes the audience all the way to the topical Fiji Islands where the coral reefs are featured. Again, the target of these reefs dying are mentioned. The reef is alive, and an animal. The many creatures big and especially small thrive on the reefs, which if dead or dying will adversely affect the eco system. It is fascinating to watch the small creatures that move around – creatures like the Christmas Tree world and the different varieties of colourful flat worms that make their way across the reefs. Clams are also shown from the very small to the enormous 500 pound ones that hardly move and live for a century or more. The shrimps are equally intriguing especially in the scene where two approach each other, the voiceover teasing the audience to decide it it is a fight or mating that is about to occur. Like other films on nature, the same goes for survival. The one survival rule is emphasized: to eat and not to get eaten. The film then moves from the coral reef to the cooler California kelps. And from there the sandy bottoms and finally the mangroves of sea water. Descriptions of each of these are set not provided so that the entertainment of all the wonders can be revealed on film as it was meant to be. The directors cannot help but play with he 3-D as evident in the bubbles ejected from the oxygen tank blowing right out of the screen at the audience. Or the fish that suddenly appear out of nowhere from behind or sides of the audience. These are cheap tricks which can be forgiven. The film’s best scenes are the one that take place in the dead of night under the deepest waters where the divers can only see where their light points. The creators observed look like alien invaders. WONDERS OF THE SEA is a remarkable educational and visible feast for the eyes.